Blackberry Storm3 is a coming stunning look touch screen mobile handset which is expected to be available in India at a reasonable price. The phone is loaded with Blackberry Operating System version 6.0. The price of this smart phone in India is expected to be Rs. 35000. 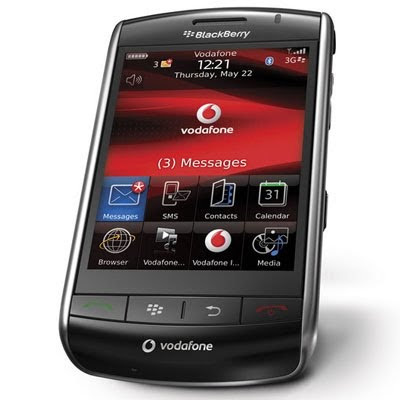 The Blackberry Storm3 has various attractive features like Optical track-pad, UI auto-rotate, Blackberry maps, Organizer, Document editor, voice memo etc. It has a 3.7 inch display with capacitive touch screen. This smooth TFT display is nice looking and can show up to 65000 colors. A 5 Mega Pixel camera is given for high quality image and video recording. The camera has a maximum resolution of 2560×1920 pixels and has auto focus facility to produce quality images. The camera also has Geo tagging feature which keeps track of the location of where the image was taken. The handset has an internal memory of 8 GB included memory card which is expandable to 32GB by micro-SD memory card. It has a RAM of 512 MB and a ROM of 1 GB. Blackberry Storm3 is available in the market only in Black color in India. The Blackberry Storm3 has excellent support for messaging. It offers the user with SMS, MMS, Email, Instant Messaging, RSS and Push Email as messaging option to get the user connected all the time. The phone also gives good connectivity options which include Bluetooth v2.1, Micro USB version 2.0, GPS, Wi-Fi 802.11 bgn. For data transfer, it has 3G network support. It also has support for GPRS with download speed of 32 to 48 Kbps and EDGE with download speed of 236.8 Kbps. The web browser supports HTML / xHTML data. The Blackberry Storm3 has good support for multimedia. The multimedia player can play MP3, WAV, MP4 files. It also has a high quality audio and video recorder. There is a 3.5 millimeter headphone jack and a micro USB port in the phone. The phone is loaded with various attractive games and more games are downloadable from internet. The phone is powered by a powerful standard battery if 1200 mAh Li-Ion which provides a talk time up to 6 hours. The information given above is all from various unreliable sources and rumors. 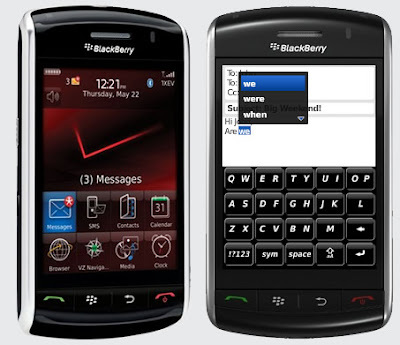 So the information given here are not yet sure until the Blackberry Storm3 is released. But it is sure that this smartphone is going to be one of the most popular mobile handsets in India. Blackberry Storm 3 is a runmoued handset that is expected to be in the market anytime. Its going to be more furious than the two storms appeared already.It runs with the latest Blackberry phone OS, Blackberry OS 6.1 and powered by the 1.2GHz processor. Extesible feature of this handset is massive storage memory 8 GB with 512 MB of RAM and the memory space can be extended up to 32 GB via microSD card slot. Blackberry Storm 3 was shown to be a good camera phone as well, since it is integrated with 5 megapixel camera built-in autofocus.